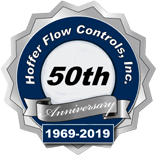 The Hoffer Sanitary Series of Turbine Flowmeters are designed and manufactured to be compliant with the ASME Bioprocessing Equipment Standard for BPE-2016 for measurement of process liquids where high sanitary standards are required. 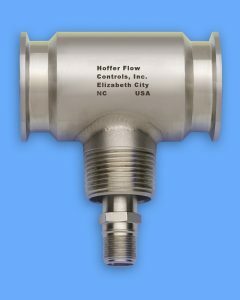 11 sizes available, 1/4” thru 3”, covering flow rates for .35 to 650 GPM. Manufactured to be compliant with the ASME Bioprocessing Eqiupment Standard BPE-2016. -40 to +450°F standard operating temperature range.